Java is a nasty space slug who appears early in the traditional alien lair stages. It hangs from the ceiling, perhaps as an actual part of the lair itself, spitting out alien fetuses that spin around in the air. Let the phallic symbol jokes begin! Java makes its first appearance. 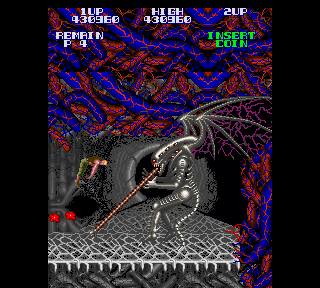 Here the body is much straighter, and resembles the xenomorph from "Alien". The body is now slightly bent upwards, and has little stumpy arms that just flail wildly. 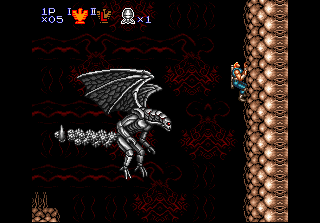 As with most returning bosses in Hard Corps, this version of Java is very different and far more dangerous. 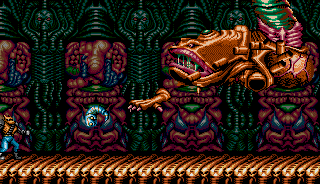 This boss is apparently the mother of some of the aliens seen in Red Falcon's lair (most likely the little facehugger look-alikes). 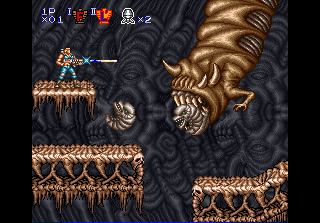 You can certainly tell that Contra's enemy designers had a thing for H.R. 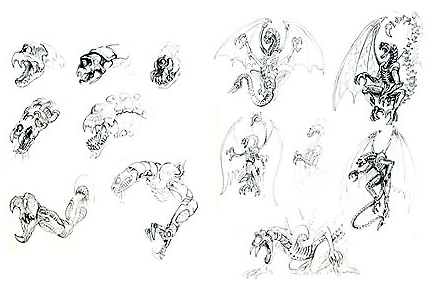 Giger's unique creature design. 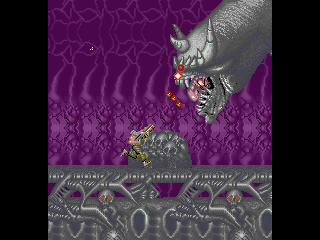 In the american Contra III manual she was called "Vicious Slave Hawk" which is actually a mistranslation of "Slave Beast Taka", the turtle enemy from the same game. Yes, that is indeed a very blatant Alien rip-off, right down to the extendable inner jaw. I'm amazed how Konami managed to avoid a lawsuit for this. Looks less like a xenomorph this time and has a completely new set of attacks. Watch out for that tail, it'll whip you good! 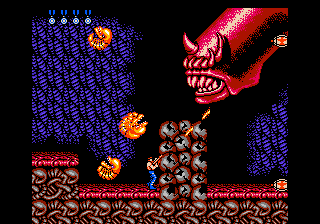 Metal Alien was supposed to make a comeback in Contra 4, but was ultimately scrapped for unknown reasons. Rumor has it they actually made a sprite for her.